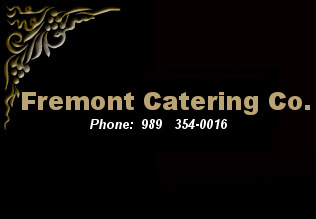 Fremont Catering Company is the resident caterer at the Aplex, located on Woodward Avenue, next to the Northern lights Arena. We are a locally owned and operated catering service with over 40 years of local food experience. Fremont Catering Company has also ran the foodservice at the Alpena Community College for the past five years. Our goal is to provide you with the best quality food at a fair price and service to match. * No deposit required to book. * Advanced payment not necessary. * Guarantee not necessary until the day before. * Guarantees will be billed unless additional guests are fed. (unless prior arrangements are made). although arrangements can be made. to special situations after that. Copyright ©2008 Fremont Catering. All rights reserved.